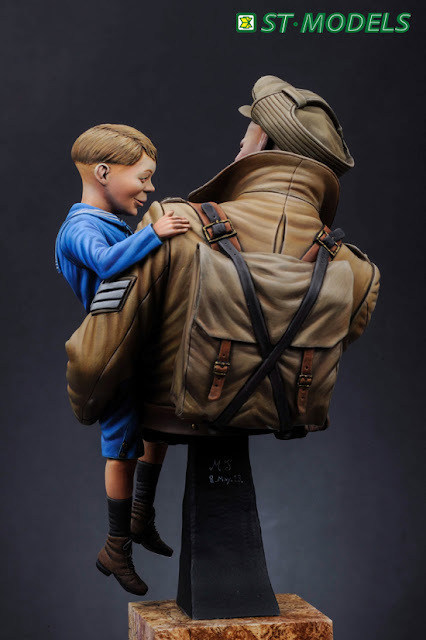 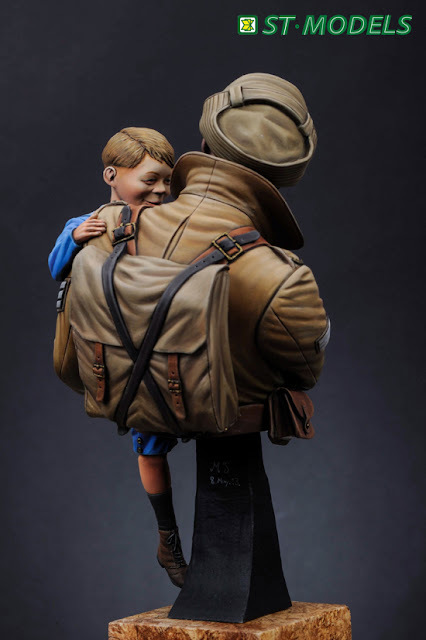 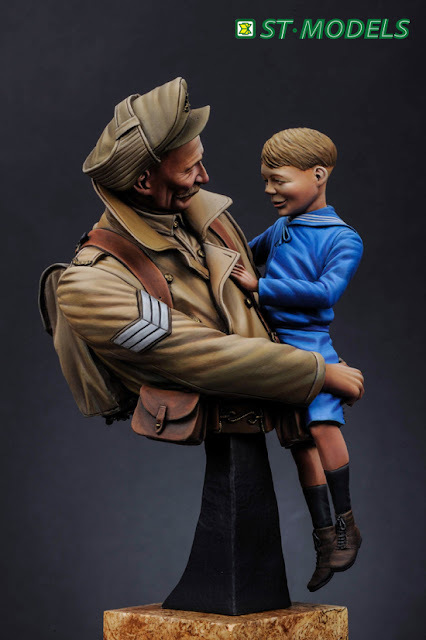 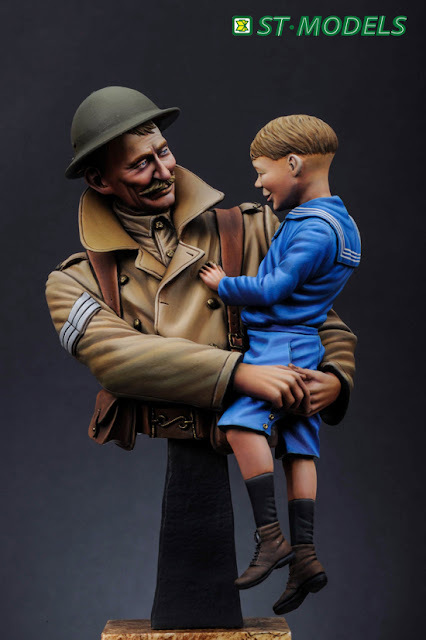 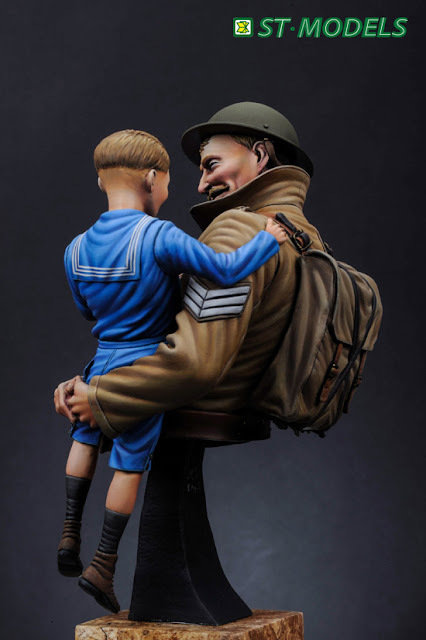 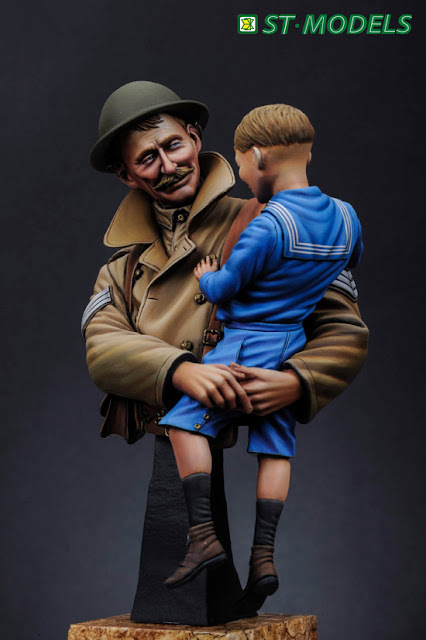 Man-Jin Kim - the boss at ST Models has a new figure bust of a departing soldier to the Western front in WW – with his infant on his hip the sculpt looks pretty nice – and then MJ painted it.. Have a look in our preview. 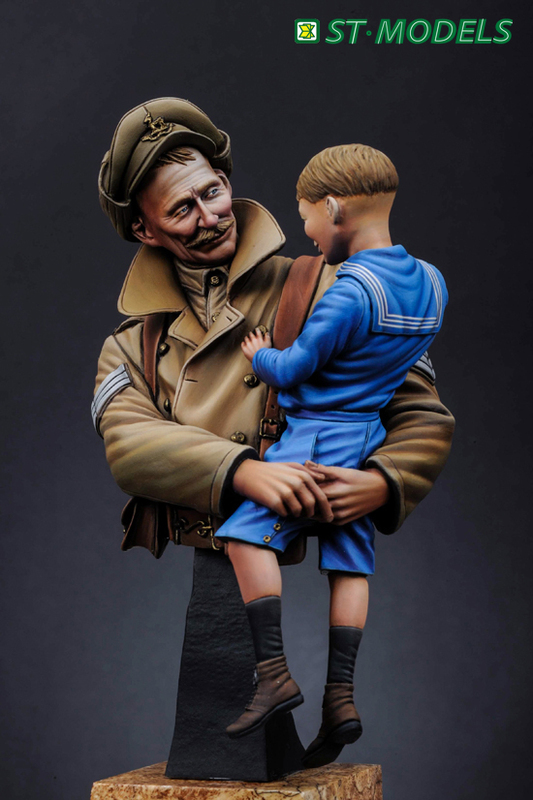 This bust complete with child is sculpted by Carl Reid in 1/10th scale and comprises seventeen parts of grey resin. It is very odd as it does indeed not end at the bust and comprises the infant being reassured by his elder. The Royal Warwickshire Regiment fought in many of the major battles on the Western front in France and Belgium. The Royal Warwickshire Regiment raised 30 battalions. 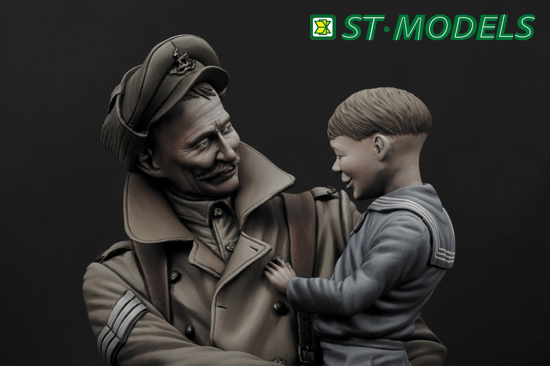 Three of these, 14th, 15th and 16th (Service) Battalions, were raised in September 1914 from men volunteering in Birmingham. 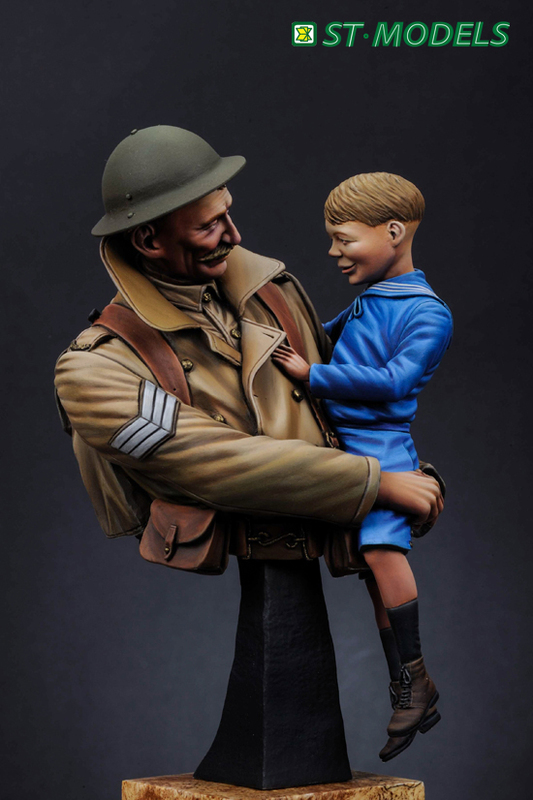 These units were additionally entitled 1st, 2nd and 3rd City of Birmingham Battalions, and were known as The Birmingham Pals. 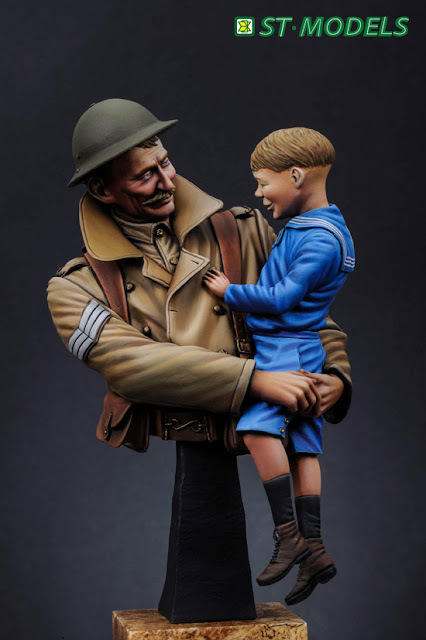 It is from this group that this soldier is envisaged. This Sergeant from the Midlands holds the child in his arms while he Is dressed ready to go into the trenches – he carries his canvas backpack attached to his webbing and his cap has warm ear protectors around it. 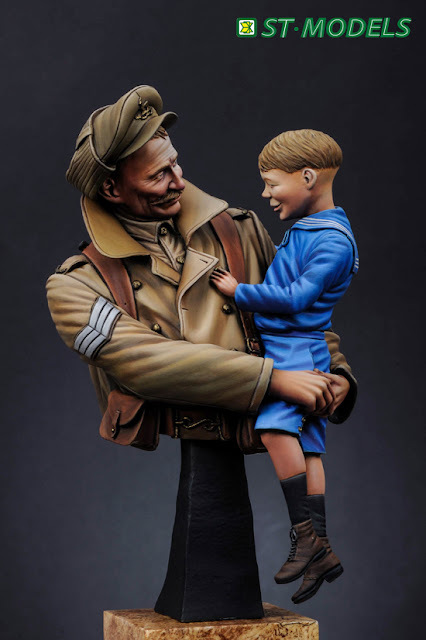 (there is a choice of a "Tommy" style helmet as well. 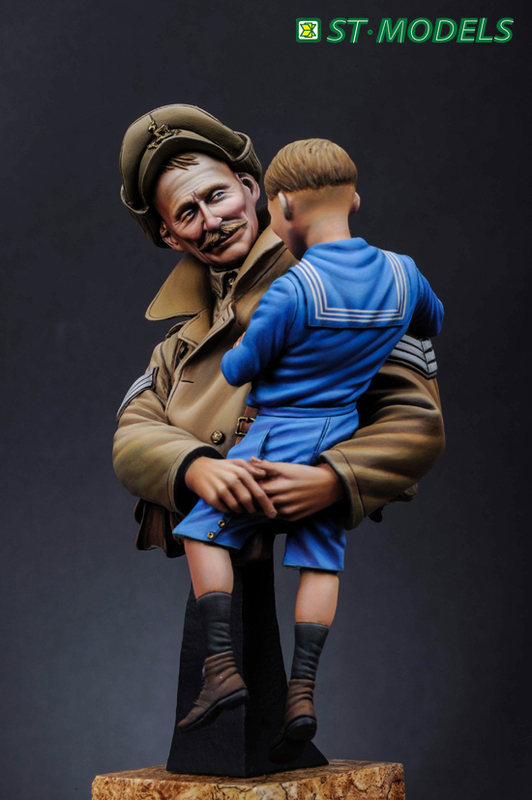 The child is dressed in a lovely little sailor’s costume and both look like they are well known to each other. 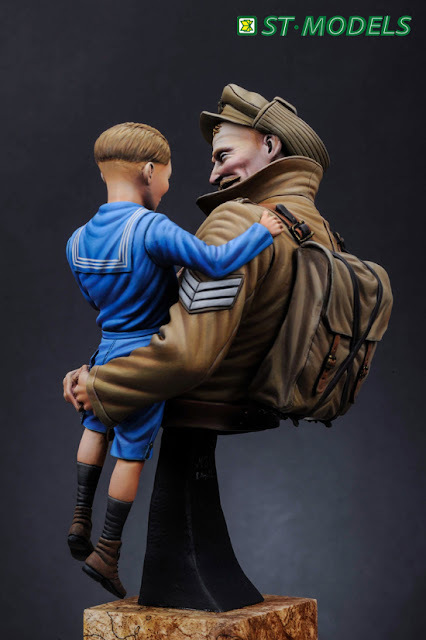 If you like this figure – and who wouldn’t? 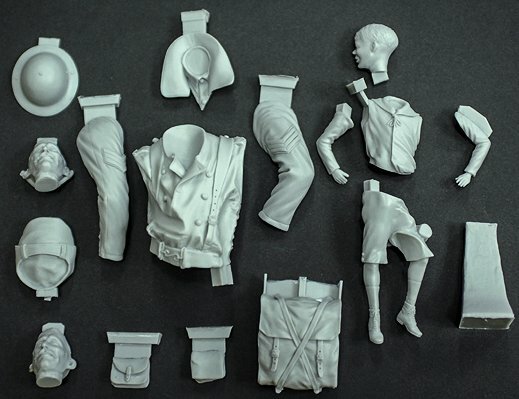 – It is available from this link and MJ’s Distributors Worldwide.